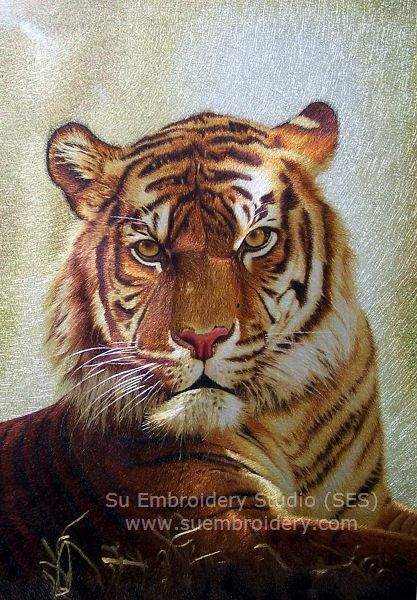 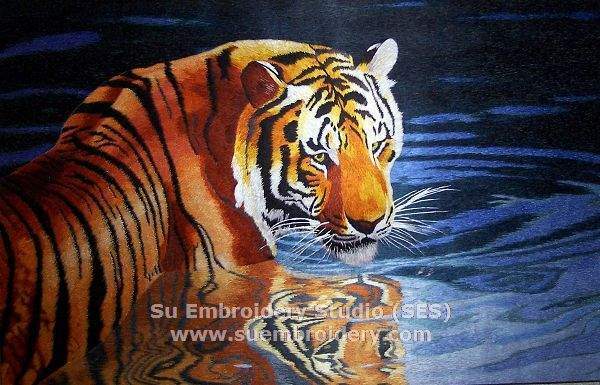 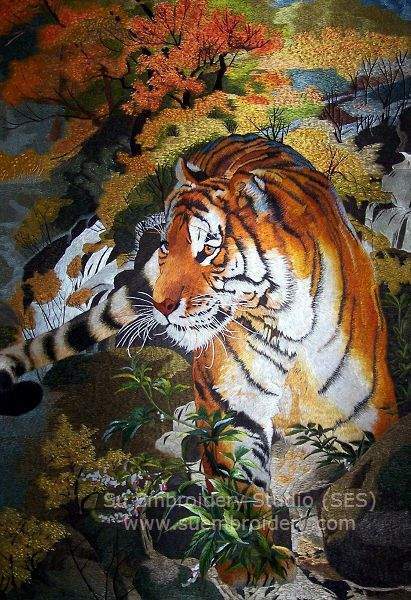 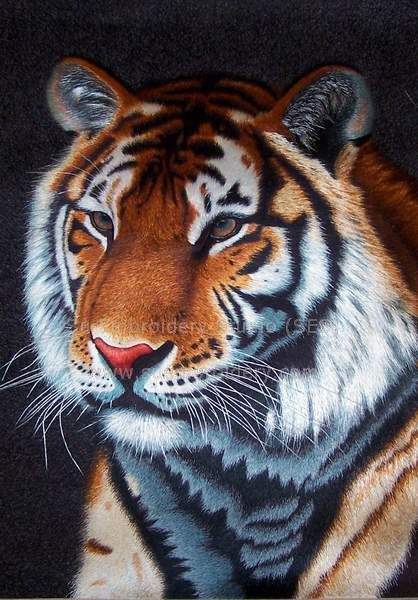 The tiger is regarded in China as the king of mountains and forests, and as embodying valor, virility and majesty. 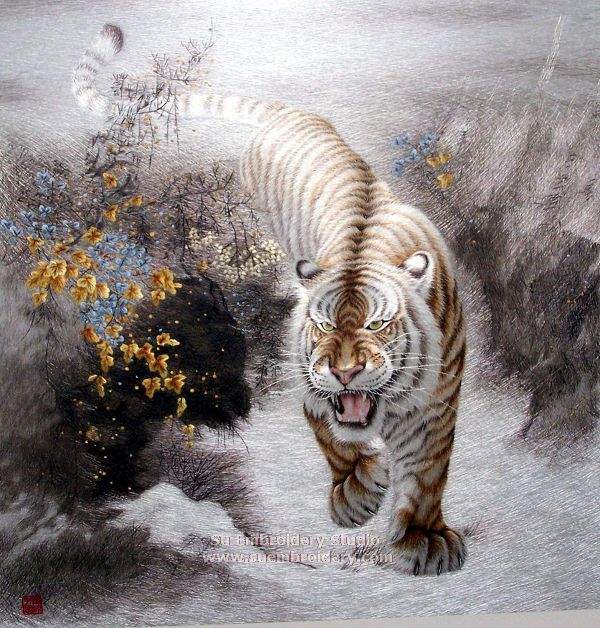 Throughout Chinese history, the tiger has incited a sense of both awe and admiration: its prowess, its ferocity, its beauty, and the harmony of the opposites. 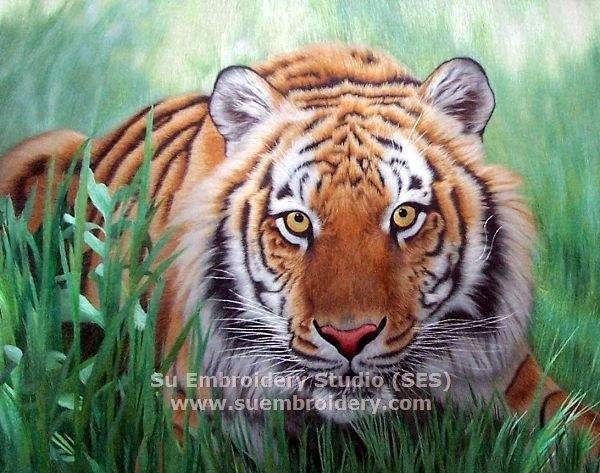 The tiger is full of life and embodies the spirit and drive to achieve and make progress. 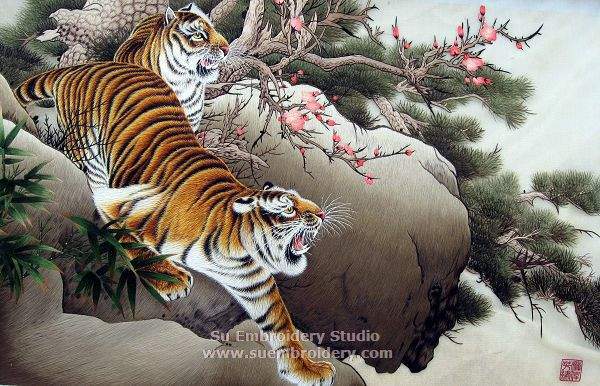 The tiger is historically a Chinese cultural symbol. 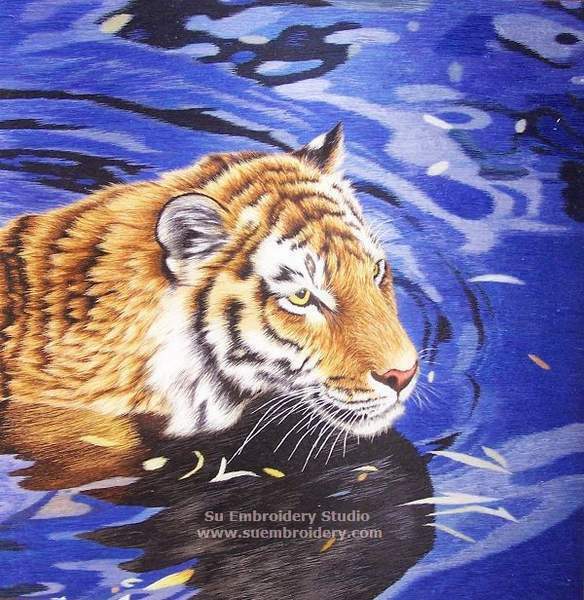 It has inspired imagination, stories, paintings, and poetry with the tiger.